Medial Branch Block is an injection of a powerful local anesthetic next to two tiny nerves at a particular facet joint (also referred to as the zygapophysial joint) in the spine. Facet joints are tiny bony protuberances where two vertebra meet. These joints have cartilage like other mobile joints, and are subject to arthritis and pain. When arthritis presents itself in these joints, the pain comes from tiny nerves called medial branches. These nerves transmit pain signals to the spinal cord, which eventually goes to the brain. A medial branch block stops the transmission of pain signals and relieves the discomfort. Medial branch blocks are done as an outpatient procedure. If the patient is taking blood thinner medication, those should be stopped 5 to 7 days prior to the procedure. Most patients will not require IV sedation, however, if a person is claustrophobic it may help considerably. 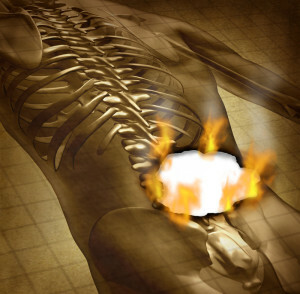 Modern federal workers compensation pain management doctors will use fluoroscopy, which is also known as a C-arm to provide real time x-ray guidance. With numbing of the skin, a needle will be directed through the skin and muscles down to the area where the medial branches are. At that point, numbing medicine will be injected along with steroid into two areas, as there are actually two medial branch nerves supplying sensation to the joint. Patients will be under observation for 30-60 minutes while nurses check on your vital signs. This is to ensure that no allergic reaction occurs. After that, patients are able to go home, typically a ride will be necessary. No food or drink should be taken in 4 to 6 hours prior to the injection. It is also better to bring a driver along and arrive an hour before the procedure. Your workers compensation doctor in Phoenix will give you specifics about the procedure requirements. The top workers compensation doctor in Arizona is Dr. Demitri Adarmes at Arizona Injury Medical Associates. Along with providing workers compensation treatment to Arizona injured workers, the practice also sees federal injured workers. The practice has seen patients from over a dozen states, as they are experts at both medical treatment and administrative paperwork for OWCP claims.